If you or a person close to you is having relationship problems at work or in school, you may need the help of a medical professional specialising in mental health. They are known as psychiatrists and psychologists. More often than not, the cause of a person’s relationship problem is not easily seen on the surface. Non-mental health practitioners often make mistakes as to why a particular person always seems to be in trouble with his workmates or classmates. Why Is Psychiatric Evaluation Important? Mental health problems are among the most complicated issues to treat. The human brain is so complex, and there are so many emotional triggers around us, that each case must be addressed individually. Only a trained mental health care provider like a psychiatrist can tell if a person has a mental health condition that makes him think, say, and do things in potentially damaging ways. And if a person is always having trouble with his fellow human beings, these medical professionals are the only ones trained to assess and provide the right intervention. In short, they are important because they are the only ones who can provide the right psychiatric evaluation to a person suspected of having mental issues. But more importantly, they know how to provide the right treatment strategies so that their mental patients will not be marginalized, but can be enabled to function normally. During a psychiatric evaluation, your doctor will examine you by asking several questions. While answering his questions, he will take note of your ability to express yourself. Take note of your mood, thinking, memory, behavior and reasoning. At times, you might be asked to undergo certain lab tests such as urine and blood tests. To confirm if indeed he has a mental health problem. It could be schizophrenia, anxiety, anorexia nervosa, Alzheimer’s disease or depression. To assess a person who was recommended to undergo mental health treatment due to problems at work, school or home. To determine the difference between physical and mental health problems. To check the mental state of a person who was arrested for a crime or has been recently hospitalized. Problems at school may include slow learning disabilities or attention deficit hyperactivity. At work, these may include relationship problems with co-workers or superiors. In the home, mental problems could manifest in marital troubles, suspecting unfaithfulness in a partner, uncontrolled anger, and so forth. Psychological evaluations are not one-size-fits-all. 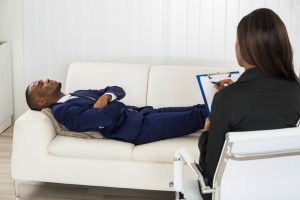 The reason why a patient is being interviewed is for the psychiatrist to assess his particular mental state, and design a mode of treatment that would facilitate his mental balance the soonest. There may be some commonalities in some treatment plans, but overall, the strategy used for a patient is for him alone and not to be used indiscriminately by another person – especially if it is considered that some medications are included in the treatment. Psychiatric tests are not something you either pass or fail. They are used by a psychiatrist to determine your state of mental health and design the right course of treatment. Therefore, don’t worry about studying the right answers to the questions of the psychiatrist. Call today to learn more about His House and psychiatric evaluation.